Raised on the cutting-room floor, you could say the fashion industry runs through Catherine Taouk’s veins. But the retail expert never set out to work in the family business, that being the iconic high street retail chain, SUPRÉ. “When I left school in 1997, I certainly had not mapped out a career in fashion, however growing up entrenched in my family business had intrinsically paved a path for me without me really knowing,” she said. 1997 was also the same year SUPRÉ went into voluntary administration, but it’s here where Catherine first began to craft and apply her skills. She worked through a number of roles from sales, marketing and branding before eventually sitting on the board for a few years where she developed profitable strategies and gathered new ways to operate, watching what was going on globally to create the brand as it’s known today. “My focus has always been about building brands with purpose, focused on far more than selling a product for a price to make a profit,” she said, “It was always about adding value to consumers and team members lives offering a lifestyle that was rich in learning and experiences. Creating a higher purpose for a brand to be aligned with across multiple dimensions and touch points. “”The starting point for any new project is to understand in depth what the current situation is of the brand, how it is perceived in the market, what people love and what people loathed and most importantly how people would operate the business if it was their own. This is done through internal and external market research and evaluation to create a plan and a roadmap for the years ago. 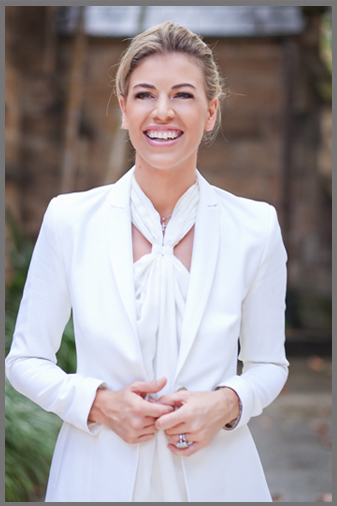 We are thrilled to have this powerhouse of knowledge as a key speaker at Fashion Exposed Business Seminar series. Here, Catherine will identify `7 key strategies to develop a Sustainable Business Model‘ to compete on the global stage, build purpose into the brand and ultimately achieve a profitable and in-demand brand. You joined the family business, SUPRÉ in 1997, what shape was the company in then? And how did you turn it around? When I joined, we were in voluntary administration, two words that I only started to understand at a deeper level last year when I was working alongside BRI Ferrier (then Ferrier Hodgson) who was one of the original administrators of SUPRÉ years earlier. Over the next 10 years we worked day and night to turn the business around to become the number 1 youth fashion retailer in this period. 6. With limited funds, we learnt to do everything with nothing and find creative ways to be innovative without having a big budget behind it. 7. We used our stores as our advertising channel and built a SUPRÉ media platform with every sense catered for. 9. We invested in our team to train and develop them with product knowledge and delivering a unique instore experience. What does it take to achieve holistic success? And can you what this looks like, or an example of a business that has achieved this and why? From my perspective, holistic success is all about living a balanced life. It is such a hot topic of conversation in every circle of friends, family and business relationships. There are so many forms of success that people need to consider aside from just the monetary and business success. I always say that there is no point focusing purely on your business success for your health to then suffer or to create a disconnect from your family with the focus being on building your business or career. Here are the 8 forms of wealth or success I recognise that people need to build into their personal and professional worlds taken from one of my favourite authors – Robin Sharma. This includes a positive mindset, high self-respect, internal peace and a strong spiritual connection. It also includes clarity around your values and a fierce sense of your one-, three-, five- and 10-year goals. Your health is your wealth. What’s the point of getting to a great place in your career if you get sick doing it? Don’t be the best businessperson in the hospital ward. Why be the richest person in the graveyard? Great leaders are in great health. When your family life is happy, you will perform better at work. No one gets to the end of their life and regrets making their family a primary priority. Related to this is the imperative of forging deep connections with friends and members of your personal community, including members, role models and trusted advisors. Actualizing your highest potential by reaching for your best in your career is incredibly important. Getting to greatness in your profession brings a feeling of satisfaction on a job well done. It helps you make your mark. Being world-class in your work is good for your self-respect. Be so good at what you do that you leave your teammates and clients spellbound. You become who you spend time with, and your associations affect your mindset and performance. “Lead Without a Title” and surround yourself with exceptional people—their stardust will rub off on you. To be fulfilled, each of us needs mystery in our lives. Challenge is necessary for happiness. The human brain craves novelty. And we are creative beings, so we need to be creating constantly if we hope to feel joy. Lots of adventure (ranging from meeting new people to visiting new places) is an essential element of authentic wealth. Perhaps the deepest longing of the human heart is to live for something greater than itself. Each of us craves to be significant. To make a difference. To know that the world has somehow been better because we have walked the planet. Think of what Richard Bach once wrote: “Here is the test to find whether your mission on Earth is finished: If you’re alive, it isn’t.” Leaders leave a legacy. The leadership team of the business needs to be the living and breathing versions of the companies holistic success. It’s hard to pin point a company that I think has got it right, all companies especially the in tune ones are constantly changing and modifying it to improve their business and the definition of holistic success. Everyone has heard of a business model before, but how is a `sustainable’ business model different? A sustainable business model is one that is going to last the distance, with long term goals that benefit all of the stakeholders in the business, not just the shareholders. Getting short term wins in the shares of the business is short lived. Having impact on the lives of every single person involved in the business is one part that I recognize as a sustainable business model. Thinking about the people who run your factories, the men and women who work in your factories – the lifestyle that they are able to have by being paid well, the people at the front line of your business, the people behind the scenes and closing the gap between the senior executives and the front line operators. One company that I have recently been following is Whole foods market run by John Mackey in the US… he has definitely created a sustainable business model. Be sure to read his latest book – Conscious Capitalism co written with Raj Sisodia. You have identified 7 key strategies to develop a sustainable business model – can you outline what these are and why they’re so important to adhere to? The underlying key to all of these strategies is really about being people centric across all facets of the business. Not unlike the famous life balance circle ensuring that you are focused on all areas of your life to have the optimal balance – family, friends, relationship, spirituality, health and fitness, learning and development, career and finance, so too must businesses create a holistic balance between people, innovation, purpose, passion, profitability, products, suppliers, growth and investment. Fashion has been challenging this year, what are some simple tools retailers can implement into their business now? You will speak at Fashion Exposed Business Seminar on the topic of `Building a sustainable business model’ – what can visitors expect from your presentation? My presentations are always interactive so expect to get involved mentally and physically. Visitors will take away lots of simple tools to take back into their business and take immediate action. As business owners, we often get so caught up in the daily actions of driving the business that we don’t take time out to reflect and reconnect. R & R is a simple way to sustain yourself first and foremost. Robin Sharma, the author who wrote “The Monk who sold his Ferrari” always says – put a Ferrari up on a hoist and put the push the pedal to the metal for 30 days solidly. We know the results. Sustainability starts with you taking action in your life that will impact your business. Discover the 7 keys to business success, how to build a brand with purpose, passion and profitability; and some simple tools to embed into your business. Tags: business model, career wealth, Catherine Taouk, economic wealth, fashion online, fashion retail, holistic, impact wealth, inner wealth, John Mackey, physical wealth, Princess Polly, Raj Sisodia, retail expert, Robin Sharma, Supre, sustainable business model, Whole Foods. Bookmark the permalink.